The arrival of a new year seems to inspire reflection and somewhat melancholic thoughts in many bloggers. We think about the huge events from the past year and try to recapture some of the good feelings. We mourn the losses we suffered and try to inject some meaning into our own lives. I have been less inclined to go through this ritual than in past years. Perhaps it is because I stand on the precipice of beginning another adventure, this time in Leicester and this time it will be a three year mission. My thoughts inevitably are turned forward rather than backward. I step on a plane in two days and quite honestly I have no idea what to expect beyond landing at Heathrow, catching a coach to my new home, and hopefully finding myself relishing this decision to chase a PhD. There is of course graduation as well. I’ll have a chance to see Durham again and to reconnect with friends I haven’t seen in four months. I am trying to remember how I felt two days before I left for Durham back in September 2013. I cannot seem to recapture it. I know I was much better organised then than I am now. I haven’t even brought my suitcases up from the basement yet to begin packing. I know I have repeated the goodbyes with my friends, though this time it feels so much more difficult. Is it the length of my programme that is the cause? I’ve been trying to analyse this phenomenon without much success. I guess it’s harder the second time around. I think, too, I am questioning this decision much more than the decision I made to get my master’s degree. I’m not as sure that it is the right decision. I think time will help me reach a conclusion on that. What was that I was saying about being disinclined to wax poetic over the past year? I am quite fickle. How about just over the past four months when my posts have been sparse or non-existent? When I first returned I was in a fury of energy which spawned many projects. I created a photo album for all of my grandmother’s pictures, made some important discoveries in my family history research, helped my mom organise forty years of photographs (somewhat to museum standards), and worked on some art projects. I’ve hit some amazing PRs in CrossFit while I’ve been home and made some great friends at the box. I reconnected with friends, visited some old stomping grounds, and grew closer to family. 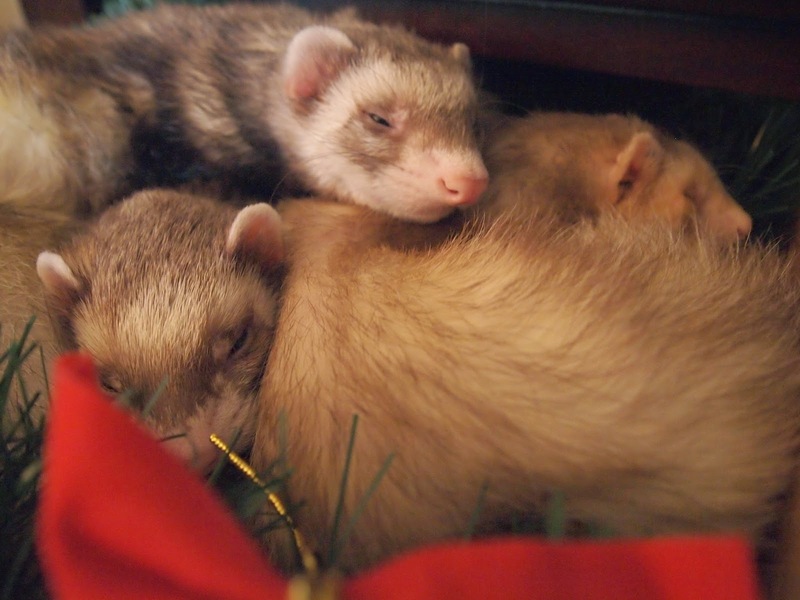 I was able to squish my ferrets whenever they allowed (and sometimes under their protestations). 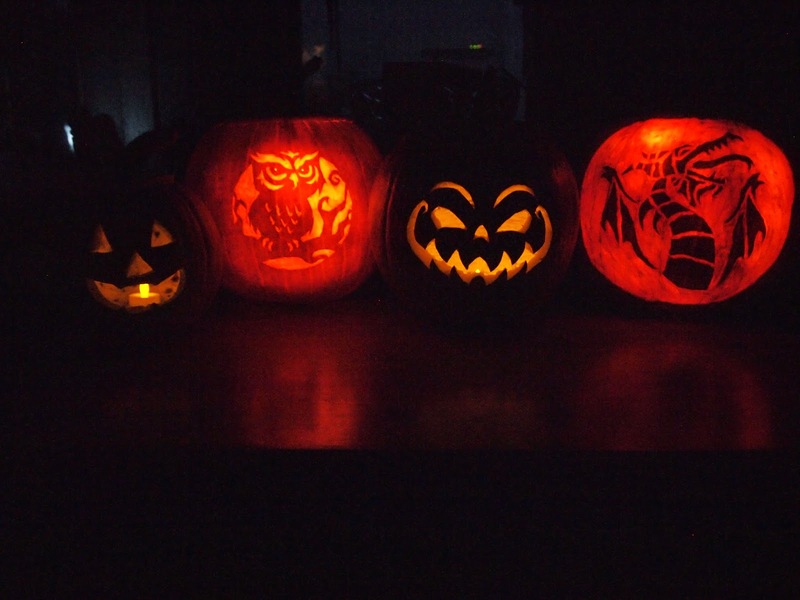 I had a fantastic Halloween night, helping my friend set up a little trick or treat questing in his backyard for the neighbourhood kids. 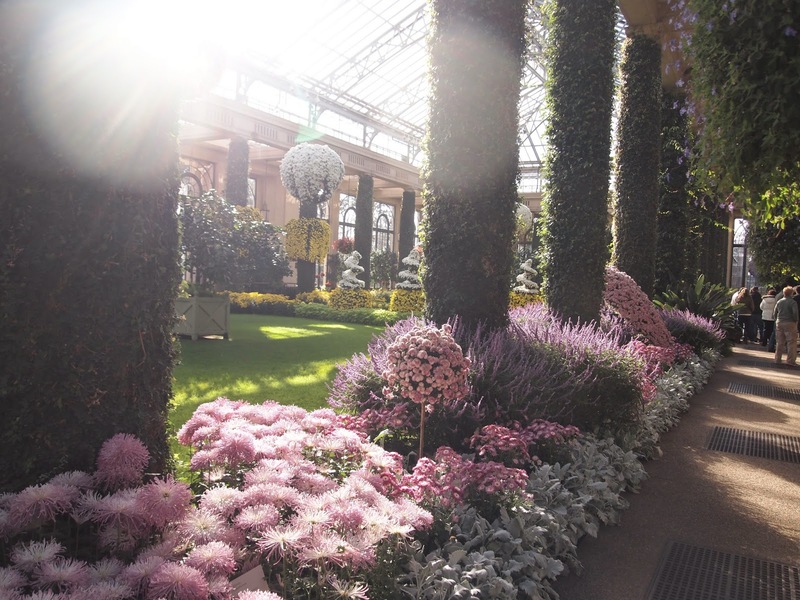 I went to Longwood Gardens a few times and finally made it up to New York City on New Year’s Day. There were tonnes of things I didn’t get around to doing, but those things don’t seem to matter too much. 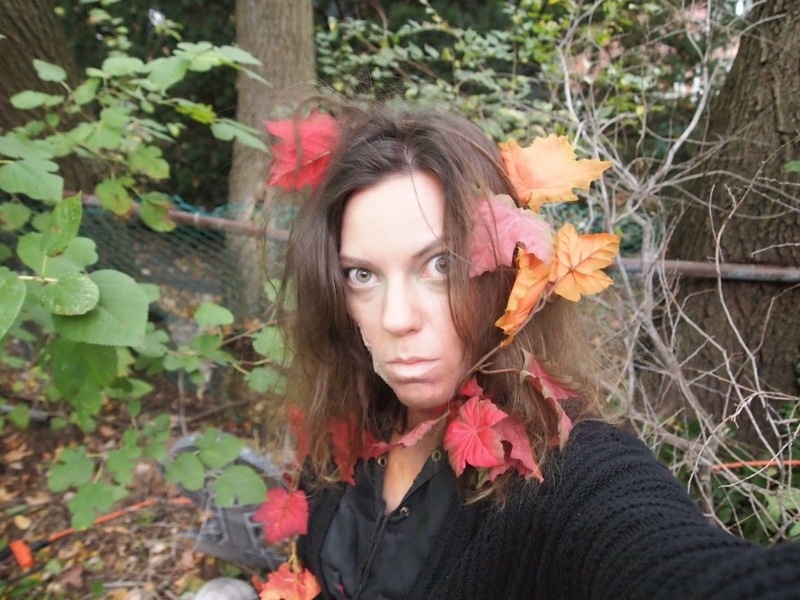 I played a very odd witch who sent kids on a quest to find skulls around the backyard. They got a piece of candy for each skull they brought. 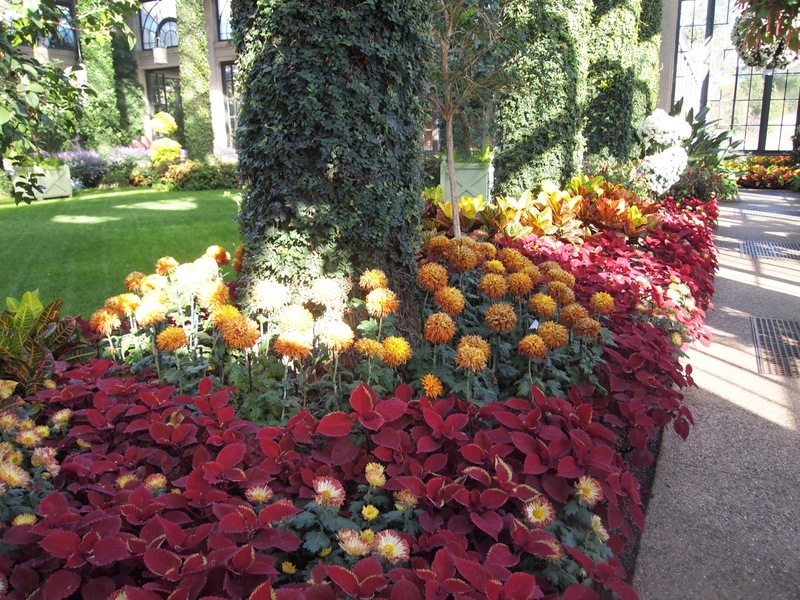 The chrysanthemum festival at Longwood Gardens. 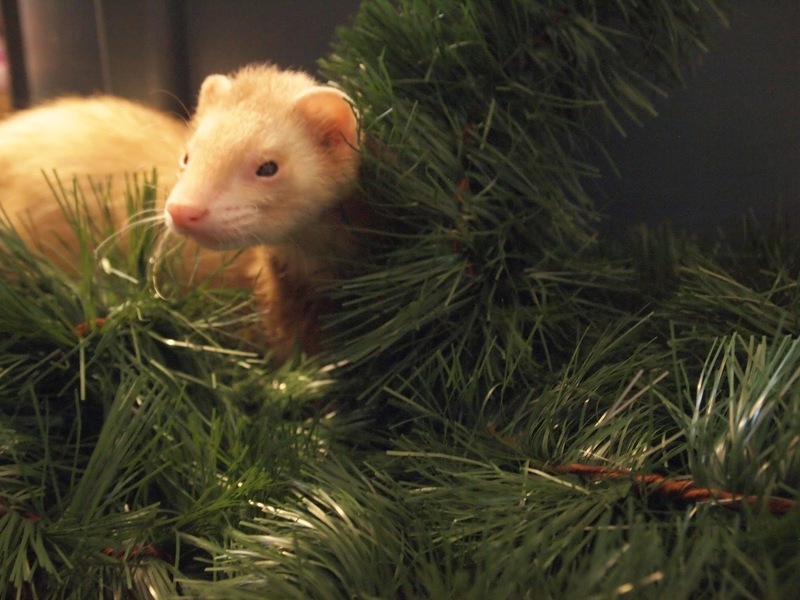 Chase was a good helper with the Christmas decorating. Enzo, Lamborghini, and Chase in their favourite napping place. It’s a drawer in a side table. Throughout this time, I was working on getting my visa, student debt, er…loans, and finding housing in Leicester. Though I had been through this all before, the second time around was much more difficult. I am going to blame that on my misplaced sense of expertise. I had done it all before, why should I be as over organised and concerned as I had two years ago? This false sense of security led me to apply for my visa before having confirmation of my loans which had I not received that confirmation a day before I had to submit my application would have resulted in a rejection of my visa and the UK Border Agency pocketing my £310 application fee. It is also somewhat responsible for the housing debacle I arranged for myself. I waited until November to get in touch with an estate agent connected to the university. Though they assured me there was a flat available at the location I wanted, two weeks of hearing nothing from them sent me into fits of anxiety. When they did return my emails the flat had disappeared but they assured me they were working on it. In the meantime I applied for university housing. The next day I had an offer of housing from the university and another flat at the same location as the one which had fallen through. This initiated another bout of anxiety as a grappled with which situation to take. I finally opted for the flat and electronically signed the letting agreement and paying for the first five months of rent. So I have a visa, I have my loans, I have a place to live. I step on a plane in two days and I haven’t yet packed. I think that brings us all up to date for the moment. It is likely my next post will be from jolly, old England. I imagine typing it, while sitting in my new flat and sipping a cuppa. As much as I have felt unconvinced about this latest adventure, I do feel a glimmer of excitement beginning in the pit of an otherwise anxiety filled stomach. Nothing is written in stone and I have learned that life often sends us to places to do things we least expect. I honestly have no idea what I’m in store for, whether it is the right thing I am doing, who I will meet along the way, and what I will see. I think I’m just going to take everything as it comes without any expectation. Seems to be the best way to go about things. Happy 2015, dear Reader. I do hope you enjoy the ride.